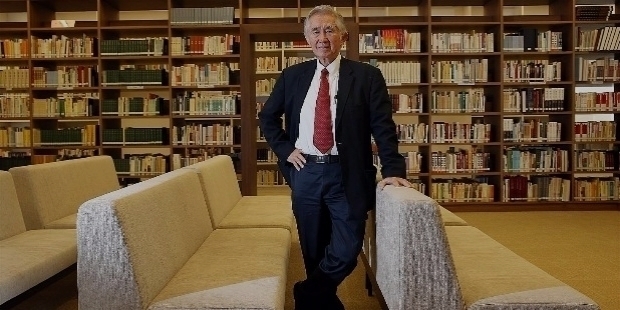 ‘Father of Urban Planning of Singapore’ – Dr. Liu Thai Ker. 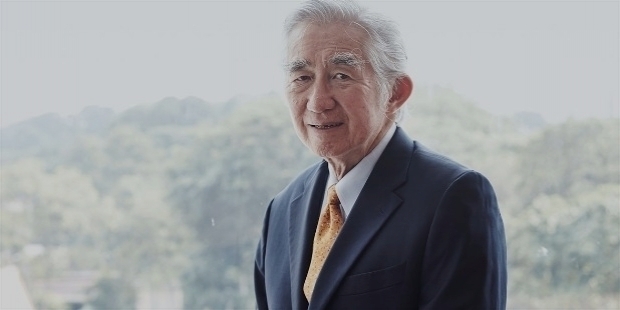 Dr. Liu Thai Ker has dared to be the first architect-planner in the world, to establish his architectural firm MORROW STUDIO at the ripe age of 79. Amazing! Stupendous! Unbelievable! Extraordinary! These are just a few of the reactions he has received from the architectural world across the globe. Greatly influenced by his father’s art studio ‘MORROW’, he continues the legacy, which his father pioneer artist Liu Kang built in the 1940s. It was during the Japanese Occupation in Singapore, pioneer painter Liu Kang set up Morrow Studio, which used to offer commercial sign painting. The shop served the dual purpose of his educated background, while protecting him as a resistance fighter during Japanese rule in Singapore. He wants to create an environment, which will operate like a smaller studio, as compared to larger corporation. 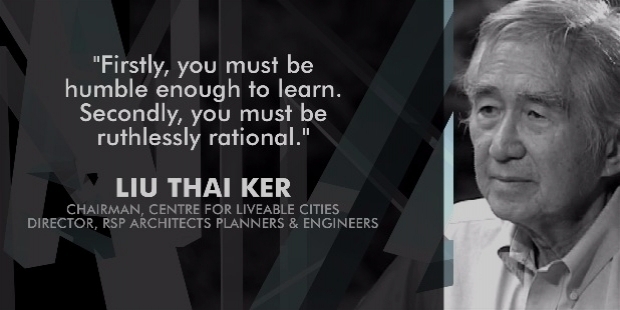 Dr. Liu Thai Ker’s studio will mainly focus to inspire the next generation of architects with his design ethos and work ethics. He had stated in an interview that he has his own brand of planning theories. His confidence has proven correct as Singapore’s urban planning was based on his theories, which he had planned to design it 30 years ago. Singapore is one of the best planned cities in the world. He is concerned, because urban planners and architects around the world are clueless or lack knowledge to build a city in a scientifically correct way. He is confident that his firm will be able to help other cities to produce better plans. In a humorous manner, he had enthused that he is perhaps the oldest man in the world to start an architectural firm at the age of 79. The undying spirit of Dr. Liu intends to work till his heart and health is in their right places. MORROW STUDIO will be involved only in architecture and planning. His main intention is to groom the younger generation by imparting his expertise and experience before he finally goes on retirement. Since the last three and a half decades, Dr. Liu Thai Ker has been sketching various landmarks in various parts of the world. He is an avid painter. Every Christmas, he creates Christmas Cards with his artworks. They are indeed iconic in nature for his esteemed clients, dear friends and relatives. Having served various architectural firms and leading posts in the past 5 plus decades, on the 1st of December 2017, he launched his architectural studio. Renowned for his creative role in shaping urban development in Singapore, his stature precedes his presence and design creations in Asia and the Middle East. Modern Singapore owes Dr. Liu Thai Ker for his master planning and creations in shaping a visionary urban housing policies and harmonious building communities. From 1969 to 1989, Dr. Liu Thai Ker led Singapore’s HDB – Housing & Development Board as the architect-planner and later as the CEO. From 1989 to 1992, his acclaimed career saw him heading the URA – Urban Redevelopment Authority as the Chief Planner and CEO. It is heartwarming to know about his humble start of his career. Way back in 1955, he started his career as a ‘Substitute Teacher’ in Kuan Chiew Primary School in Singapore. Three years later, he became an employee of Clement Glancey Architects in Sydney, Australia. He graduated as an architect to join Loder and Dunphy Architects, Sydney in 1960. Four years later, he became architect-planner at IM Pei and Partner, Architects and Planners. His creative architectural skills and visionary master planning led him towards bigger circle. In 1969, he joined the Singapore’s Housing Development Board as the ‘Head of Design and Research Section’. His creative excellence saw him becoming the Chief Architect of HDB in 1975. A year later, he was promoted as the Deputy CEO of HDB. Having served in the post for three years, he became the CEO of HDB in 1979. For a decade, his creations and master planning saw the evolution of modern Singapore with great success, as the CEO of HDB. At HDB, he planned and helped to develop 23 new towns. He left HDB in 1989 to join Singapore’s URA – Urban Redevelopment Authority as the CEO and Chief Planner. Three years later, in 1992, he joined as one of the ‘Directors’ of RSP Architects Planners and Engineers, Singapore. 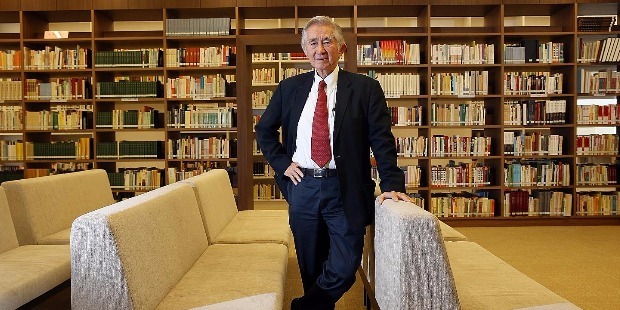 He became Chairman of NAC – National Arts Council in 1996. RSP Architects’ parent company, investment firm Rowsley, had begun to organise the firm as a large Corporation with strict discipline of Corporate style. Dr. Liu Thai Ker felt his hands would be tied. He has been operating as a free independent, so he informed RSP directors three months in advance to launch MORROW STUDIO on the 1st of December 2017. His portfolio with the company includes landmark projects like Marina Bay Cruise Centre Singapore, the Yong Siew Toh Conservatory at the National University of Singapore and the Nanyang Academy of Fine Arts campuses. The Weifang Cultural Centre spans 294,000 sq m in China. It was completed in 2013 and is one the biggest projects in China. Inspired by traditional Chinese kites, the location is situated in the International City of Kites. It has colorful traditional Chinese kite elements, peppered all through the architecture. It includes a state-of-the-art 1,500-seat grand theatre and a 900-seat concert hall. Dr. Liu’s achievements include: he is the first local architect to be involved in designing the Chinese Embassy in Singapore, as well as the upcoming China Cultural Centre on Queen Street; He was the Chairman of the Jury for the master plan of the 2008 Beijing Olympics Park; He was planning adviser to more than 30 Chinese cities, including Yangzhou in Jiangsu and Zhuhai in Guangdong; He was awarded the ‘Top Honour for Excellence’ at the 2014 Business China Awards, for his role in sharing Singapore’s urban development experience with China since the 1980s and contributing to Sino-Singapore relations; He has served as the Chairman of the National Arts Council and the Singapore Tyler Print Institute. Dr. Liu Thai Ker is a true believer of Art. For him, art is a universal language. His opinion is that art brings nations together, while politics divides nations. Art helps to make life more meaningful, when one is able to appreciate art. Art helps to embellish one’s quality of life. Dr. Liu Thai Ker married Marta Mikes in 1976. Marta is Hungarian and a trained soprano. She lives in Australia. The couple has three children – sons Kristof and Janos, and daughter Eszter. Liu married for the second time in 1984. Gretchen Liu, a journalist turned writer is Liu’s second wife. They both have two children - son Daniel and daughter Kristin. Dr. Liu is the grandfather of five. His insatiable energy and passion makes him to work 10 hours a day, six days a week. The amazing architect-planner has no plans or intention to stop working. How to spell the world 'retire'? A man like Dr. Liu Thai Ker does not know it!